Read about Tax Receipts for Donations in Parkinson Canada's monthly newsletter, e-Parkinson Post. One-time giving is the quickest way to make your gift and drive your donation straight the frontlines, supporting Canadians living with Parkinson’s in our communities from coast to coast to coast. Becoming a monthly donor is the best way to partner up, be a Partner for Parkinson’s! Your monthly gift is a blue-sky way to make an ongoing contribution that reduces red-tape costs and creates opportunities for long-term projects with a lasting impact. Donations are a powerful way to remember loved ones, and add to their legacy by creating help and hope for others. Celebrating your special someone, occasion or achievement with your gift. You can also send a personalized card, sharing your reasons to give and special message. Donate your vehicle to Parkinson Canada to raise funds for us. Click here to find out more. Want make your gift by mail? We've prepared a donation form that you can download, print and then mail it to us. Read Parkinson Canada's donation Frequently Asked Questions for more information about the donation process. Parkinson Canada abides by the Association of Fundraising Professionals Code of Ethical Standards. Read the article about Tax Receipts for Donations on Parkinson Canada's monthly newsletter, e-Parkinson Post. Your Giving is a legacy. 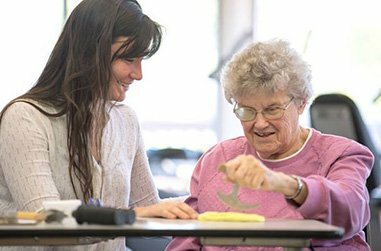 You want to make the biggest impact you can in improving the quality of life for people living with Parkinson’s disease. You want to enable their caregivers, providing personalized support and services and, investing in research that will lead to medical advancements in treatment and one day, a cure. Here are some options for you for to build that legacy, to change the world today and make a better future possible. Sue Rosenblat at 1-800-565-3000, ext. 3386 or by email at sue.rosenblat@parkinson.ca. A bequest is a gift in your Will that can be changed or modified at any time. You can choose to designate that your bequest be used for general use, or perhaps for a specific purpose. Bequests are also a meaningful way to reduce estate taxes while helping create a better world. When you name Parkinson Canada as a beneficiary and/or owner of your life insurance policy, you could benefit from tax savings in your lifetime or tax savings for your estate. 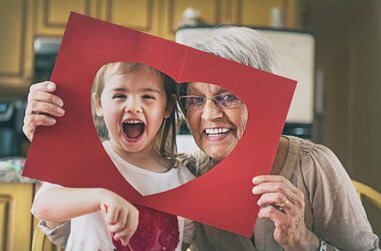 Once your needs and those of your loved ones have been met, you can help Parkinson Canada by donating Registered Assets such as a Registered Retirement Savings Plan (RRSP) or a Registered Retirement Income Fund (RRIF). There are also significant tax savings for your estate when giving your Registered Assets. A Charitable Gift Annuity allows you to support us and in return you receive guaranteed income for life. You have an asset – perhaps stocks, bonds, securities, mutual funds or real estate – that you want to eventually donate, but you need the income it currently provides, or you may not wish to part with your asset at this time. A Charitable Remainder Trust is a way of giving by establishing a trust agreement with us. If you are thinking about making a planned gift to Parkinson Canada, it is recommended that you seek independent professional advice from your lawyer or financial advisor. Your Giving is a partnership. By donating a major gift to Parkinson Canada, you have the opportunity to direct your gift to specific areas, programs or initiatives that are important to you. We can help you determine what opportunities would maximize the value of your gift. A donation of publicly traded securities is one of the easiest and most effective ways you can support Parkinson Canada. And you can avoid the capital gains tax that you would normally have to pay if you sold the securities and then donated the proceeds. Parkinson Canada will issue you a charitable tax receipt for the fair market value of the security on the date of transfer into our brokerage account. You can donate securities now, or as part of your estate planning. Read more about the Gift of Stocks and Securities. To explore the benefits of this type of giving, please contact Sue Rosenblat at 1-800-565-3000 ext. 3386, or PlannedGiving@parkinson.ca. To download our Guidelines for Transferring Assets & Letter of Authorization, please click here. We offer partnership opportunities at both the national and local level that will motivate and engage your team and build awareness through a Cause Marketing initiative. 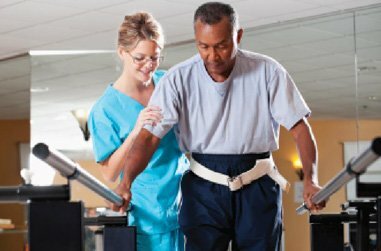 Parkinson Canada offers companies the opportunity to increase their exposure and align with the only national health charity serving Canadians. Parkinson Canada also has the distinction of being accredited by the Imagine Canada’s Standards program, recognizing a quality of excellence in our governance, financial accountability and transparency. Parkinson’s disease affects about 7 million people globally. By 2031 the Parkinson’s population in Canada over the age of 40 is anticipated to increase by 65% and those over the age of 65 with Parkinson’s disease will more than double. 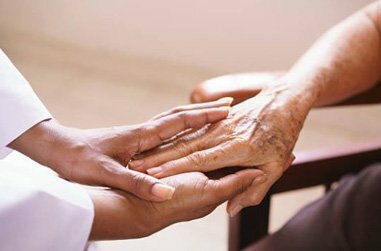 With more than 25 people a day diagnosed in Canada, chances are you know someone who has been affected by Parkinson’s disease. Increasing awareness of Parkinson’s disease creates a rare opening for businesses who are motivated to offer support for a critically important cause while conveying a leadership investment in health for Canadians that is both strategic and proactive. Read more about Corporate Partnerships and Cause Marketing opportunities. Jon Collins, Associate Director, Events and Partnerships at 416-227-3370 or jon.collins@parkinson.ca, or Bob Hall, Major Gifts Officer at 416-227-3380 or bob.hall@parkinson.ca.